"I am from Ernakulam, Kerala. My IELTS score is an overall 8 ( R- 9, L- 8.5, W-7,RS-7). The fact that I managed this on my first attempt within a month is undoubtedly because of Cosmo. If you are looking to study under the best, then Cosmo is the right choice. Their pattern based writing technique remains unparalleled. This method is easy, efficient and and undoubtedly the ideal approach to IELTS preparation. My scores are a testament to this fact. The classes are lively, interesting, interactive n guarantees individual attention. It's been a great experience with the Cosmo team. For assured results, join Cosmo." "I had a great experience here. Allen sir provides the blueprint for all modules. You just have to work according to that to secure 7 and above in all modules. The only thing candidate have to do is to just use these blueprints in correct way and rest you can just relax. I got 7.5 and will recommend Cosmo institute to everyone." "As we all know getting 7 band score for all the four modules is a herculean task . But i believe the way you study and the mender you approach can bring excellent results.Here comes the role of COSMO IELTS ACADEMY, the par excellence in IELTS coaching for the last decades.The simplicity in the teaching methods would nourish the skills and calibers of the students. The Pattern-based writing ,Method-based speaking, speed reading are the golden rules of COSMO that will enable the students to hit their target. I am proud to say i got 7+ individual score ( S : 8.5, R : 7.5, W : 7, L : 7.5) in my academic IELTS after 1 month coaching and its nothing but the guidance from ALEN SIR backed me up to receive such an excellent TRF. So I highly recommend COSMO ACADEMY for all those who need a good score to fly to an English speaking country. Once again I would like to thank the teaching faculty and wish COSMO all success in its future endeavours." "Thank you for the help extended to me and my friends with the simply great techniques and methods. I am recommending COSMO to all who have dreams to get 7 above in IELTS. Let your dream come true like mine came true . ROCK ON, Cosmo!!!" "I did my IELTS coaching at Cosmo, Trivandrum. I scored an overall of 8 (R - 7.5 W - 7.5 L - 8.5 S - 8)and this was all because of that one month in Cosmo under Allen sir..Cosmo has made IELTS so much easier...Thank you sir!!! 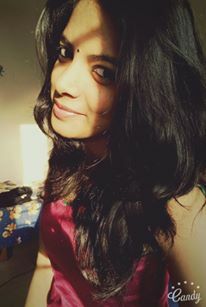 :) "
"Myself Chinchu from Trivandrum. As we all know getting 7 band score for all the four modules is a herculean task . But i believe the way you study and the mender you approach can bring excellent results.Here comes the role of COSMO IELTS ACADEMY, the par excellence in IELTS coaching for the last decades.The simplicity in the teaching methods would nourish the skills and calibers of the students. The Pattern-based writing ,Method-based speaking, speed reading are the golden rules of COSMO that will enable the students to hit their target. I am proud to say i got 7+ individual score ( S : 8.5, R : 7.5, W : 7, L : 7.5) in my academic IELTS after 1 month coaching and its nothing but the guidance from ALEN SIR backed me up to receive such an excellent TRF. So I highly recommend COSMO ACADEMY for all those who need a good score to fly to an English speaking country. Once again I would like to thank the teaching faculty and wish COSMO all success in its future endeavours." 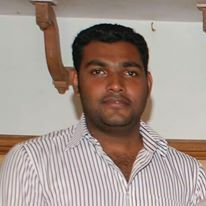 "I am Sharath from Trivandrum. I did my IELTS classes from Cosmo Trivandrum. I am very much obliged for the hardship and efforts given by the tutors of COSMO CENTRE. It gives me immense pleasure to say that my excellent scores in IELTS exam was due of COSMO. If anyone wishes to achieve their culmination and follow their dreams .....my advice is to go to COSMO CENTRE....SO best of luck guys...."
"I enjoyed the Spoken English class conducted by Shirley mam. There was never a dull moment and the whole two hours was filled with learning, that too in an interesting way. The role play helped to respond to general situations in the best and appropriate way. So now, it is possible to speak to people correctly without any embarrassment." "I take this opportunity to thank beloved Allen Sir who paved all the way to success. In past academic studies I used to by heart all the study materials to touch the success, but Cosmo has something unique that makes us more vibrant in this field. I nailed the IELTS score(7) needed for the migration on the very first attempt. I assure you Cosmo center won't depress you more over it will help you to attain a self confidence to face the test positively. I strongly believe confidence is more important for a candidate like me and like everyone." "I am Sauparnika from Trivandrum. I did my Spoken English and IELTS coaching from Cosmo. We all know ENGLISH, but that is not enough for IELTS, methods, techniques, time management , vocabulary ....to what IELTS needs, we will attain from COSMO.....Thank you Allen sir for helping me to reach my goal in the first attempt itself..."
"As Allen sir says, "it's not about working hard but working smart". For working smart, you need Cosmo Centre !!! One of the best decisions I ever made is to join Cosmo Centre for IELTS coaching. I booked the IELTS exam date even before joining Cosmo Centre, so I only got two weeks time for my preparations and with that preparations, I have managed to score 7.5. The kind of support and techniques Allen Sir gave me within this time period was priceless. The pattern based writing techniques are a boon to all the students of Cosmo. Moreover, tips given by Allen Sir for speaking tests are worth mentioning. I can assure that no other institute simplifies IELTS like Cosmo Centre." "Cosmo provided me with the resources and the necessary skills to improve my command on English language as per International norms. The classes are highly interactive and help one build confidence to master the IELTS exam. Allen sir gives personal attention to everyone which served as a major factor in rectifying our mistakes. Allen sir’s pattern based writing techniques & method based speaking techniques came in very handy during the exam. I scored 8 in listening & reading and 7 in speaking & writing. I recommend COSMO to everyone who is interested in taking their language proficiency to the next level." "COSMO Centre is the best IELTS Trivandrum Coaching Centre. I am extremely grateful to Mr. Allen Sir for his unique style of teaching, IELTS tips and tricks and the various strategies to get 8+ score easily. The simplicity Allen sir engenders in imparting the language skills is worth mentioning. Everything is simplified just like they say in their website. I will give 5 stars to COSMO Centre Trivandrum, Kerala." "ALLEN sir is a born teacher..... He certainley knows how to make one understand and learn..... If we found something difficult, he would explain it in many different ways that ultimately you end up learning it,no matter how difficult the matter is..... their is no place in KERALA to learn IELTS that is as good as COSMO........."
"I did my IELTS training in Trivandrum Cosmo centre. IELTS WRITING and SPEAKING were most difficult for me......I joined COSMO just for that, especially WRITING.The story like WRITING approach and pattern based approach in task 2 helped so much so that my WRITING score short up to 7 in just 2 months..... thanks Allen sir"
"I am from Thiruvanathapuram. I managed to get a score of 7 on my first attempt within 10 days of training in COSMO (I am working abroad) is only because of ALLEN sir's unique & effective teaching methods.Thank you for the help extended to me. I am recommending COSMO to all who have dreams to get 7 above in IELTS. Let your dream come true like mine came true (I got Australian PR recently). Thanks to COSMO!!!" "Those who need 7 need only do one thing. Just go to COSMO and forget your worries. Attend all the classes and don’t miss them. I just attended 2 hours a day class and i was very regular in my attendance and I could see myself improving from the first day onwards. The first week’s class went slow for me as I had to adjust to the teaching method. Once I got my head around it, the learning was more rapid from the 2nd week onwards. After that, here was no looking back. I only stopped after I got 7.5 in the exam. My sincere thanks to Team COSMO." "Cosmo centre helped me to to attend the ielts with relative ease. If it weren't for Allen sir's classes and notes i would have been lost. His notes are especially keen on helping me finding out the synonyms which is key for ielts. I would recommend Cosmo to anyone anyday. Thank you sir for all your help. Cheers !!!" "Friends are you trying for IELTS Trivandrum, then don't even waste a single second for finding the right ielts coaching centre.Just go to COSMO the best IELTS coaching centre in TRIVANDRUM.At cosmo all the 4 ielts modules are simplified to the extreme level and the training given by Mr.SUJAI ALLEN sir is way too smarter." "Myself Jithin, I attended Cosmo's IELTS Traning in Kottayam centre, Kerala. The smart teaching methods adopted by Allen sir are quite potent and yet simple.It gives you the essential confidence to face the test. My scores are W-7, S-7.5, L-7,R-7. I am quite sure that I have fumbled somewhere with the listening and reading tests as I was very confident to score more. But the writing was always difficult for me and his coaching boosted my confidence to write the exam with ease. Band each 7 was my target and I got it in my very first attempt. I am very happy with my score and I thank him and God Almighty for my success. If you are preparing for IELTS, just don't waste time pondering too much but call Cosmos. I guarantee that with your best efforts and Cosmos coaching, band each 7 is not a difficult task at all." "Hi all..I'm shefzy. For all those who are looking for IELTS training, I strongly recommend COSMO because within a very short span of time I could achieve my desired band score. The training in Cosmo is so unique that with out much effort I could score 7.5 band. Thanking all the faculties in cosmo for their excellent guidance." "I am Toney from Kanjirappally, Kottayam. I had a great experience here. Allen sir provides the blueprint for all modules. You just have to work according to that to secure 7 and above in all modules. The only thing candidate have to do is to just use these blueprints in correct way and rest you can just relax. I got 7.5 and will recommend Cosmo institute to everyone." "Hi, I feel COSMO provides the best IELTS coaching in trivandrum.. whether its is reading,speaking,writing or listening, we are not only thought the techniques which make IELTS easy to learn,but also that the care and dedication provided is excellent...... ALLEN SIR, JYOTHI MAM and MEERA MAM provided personal attention that i needed to score 7 in all modules. THANK YOU." "The IELTS technique like pattern based writing and method based speaking are just AWESOME.. SUPER......... In writing, even after classes are over, teacher sites down with me to correct my mistakes and make the answer PERFECT.. when most coaching centers look to make money, COSMO is different and that too very much different HATSOFF TO COSMO........"
"Hello, everybody my name is Anu Priya and i got a score of 8.5 in IELTS exam. i owe this success singularly to Allen sir and wonderful team at COSMO.. we were given excellent support and instructions to make this goal happen. thank you sir... i would recommend it to all people out there who are nurturing the dream of IELTS." "IELTS CLASS WAS AWESOME ...... I REALLY THANK COSMO FOR MAKING MY IELTS EXAM VERY EASY AND SIMPLE.... THANKU TEACHERS"
"Ielts was the first hurdle for me to appear for plab. And i needed an individual score of 7 in each section and an overall of 7.5. I joined cosmos ielts class for 15 days and cleared with flying colours. I got an overall 8 with 7 in writing, 8 in speaking and listening and 8.5 in reading. Allen sir really helped me with writing in that short period of time. Classes were well planned, structured and interesting. 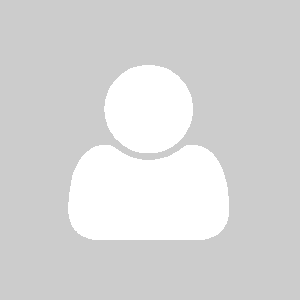 So i would definitely recommend cosmos if anybody is looking for ielts coaching." 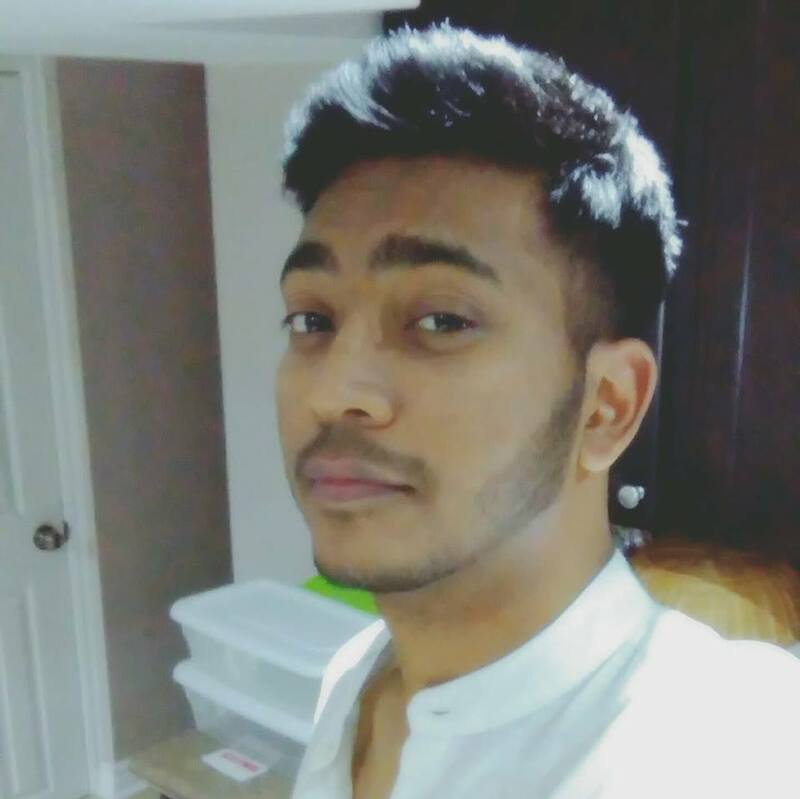 "I would like to dedicate my 7 IELTS score to COSMO for the grand and simple techniques i was taught by Allen Sir. No other institute has the techniques that Allen Sir employs. Impossible not to get individual 7. Keep it up, COSMO." "With tons of confidence and loads of gratitude, I would say that COSMO is an institution which has no competition when it comes to the staff dedication, resources, talented staff (Allen sir’s classes are just so interesting and useful ,you would not think 2 hours had passed), out of the world techniques and student support. My score is overall 7.5 and I would gladly recommend COSMO." "I truly benefitted from the Pattern-based Writing and Method based speaking techniques that made these modules so simple that it helped me cover a vast area in just 1 month (which was all the holidays I had). I was so frightened of IELTS but when I got the score of 7, I was so relieved that all my efforts and all your techniques had paid off." "My friends recommended Cosmo Centre Kottayam for IELTS Training to me as I needed an individual 7 and I am happy I took their advice and joined here for Ielts training. Allen sir’s teaching methods are awesome, splendid, fabulous, fantastic , fantabulous.......I don’t have any more words to describe Cosmo...My score of 7.5 is only because of your training." "I am most happy with the coaching I got from COSMO. Allen sir, Jothy mam and Meera teacher, all of them have got mind-boggling techniques. For speaking and writing, COSMO is the place to be. Absolutely wonderful techniques which make writing as simple as a piece of cake (just as they say in the website). I was most pleased to say I got a 7.5 in the exam and many thanks to COSMO for that." "Me and my friends attended the IELTS classes at COSMO Trivandrum. The learning was efficient and the 2 hours we spent at cosmo was full of new information that helped us improve our English standards. The one thing i like at cosmo is that no one is taken for granted and everyone’s time is valued. We were given individual attention, our doubts were cleared, great techniques were taught and the classes were most interesting. We needed 6.5 and all of us got 7 and I got 7.5." "Given the number of IELTS coaching centres in Trivandrum, i had to do a research to find the best. I asked around, read reviews, went to many institutions and enquired. At the end, i decided to go to cosmo for my IELTS training. The classes were superb and incredible. I just had a one month to prepare and in fact , Allen sir made sure that was more than enough. Thankfully, all the questions i got in the exam were just what I was taught in the class and I managed to get an individual 7 in all modules." "Great Coaching for HAAD. Just went for 4 days morning to evening at COSMO and I cleared the exam. The questions asked in the exam were exactly the same we had been coached on. So it was very easy. Thanks very much. If you are in Trivandrum, just try out COSMO for HAAD. Very effective and very efficient." "I had my ielts examination on 10th September.I scored an overall band of 8(L-8.5,R-9,W-7,S-7).This is my first attempt.It is because of the excellent mentoring provided by Cosmo centre that I achieved this band.Allen Sir's pattern based writing techniques and method based speaking techniques have helped me a lot.Also the class room trainings for listening and reading are outstanding.Thankyou Allen Sir for all the support and guidance.Cosmo is the best ielts coaching centre in Kerala." 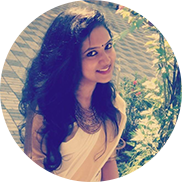 "My dream of a bank job got realised with COSMO, Trivandrum as their bank po coaching is extra effective. The faculty had removed my difficulties with quantitative aptitude and reasoning making me pass prelims in the 1st attempt itself. Thank you COSMO." 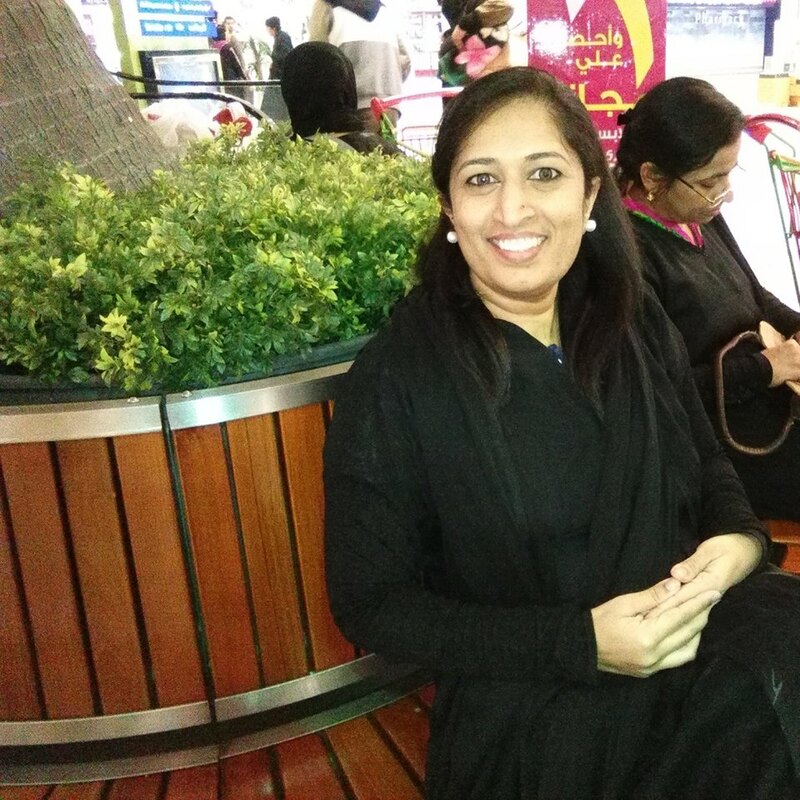 "In the many coaching centres i have been to for IELTS, COSMO has been the best. I can confidently state that only COSMO has the techniques necessary to conquer IELTS. I dedicate my 7 in IELTS to the faculty at COSMO, Allen sir and mainly the pattern-based and method-based techniques." 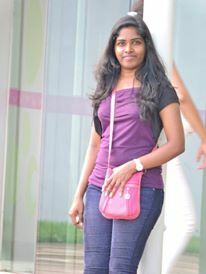 "Myself Angitha working in Technopark, Trivnadrum. I am very glad to say that I have secured band 8 (L-8.5, R-8, S-7.5, W 7.5) for ielts after attending classes at Cosmo. All my sincere thanks to Allen Sir.. I definitely recommend Cosmo for any of you who are planning to take ielts. BEST WISHES COSMO... way to go!!!" "The accent training sessions were superb and the classes are so interesting that it made us want for more. Super change in our speaking abilities. Good, sorry, Best centre for accent training in Trivandrum." 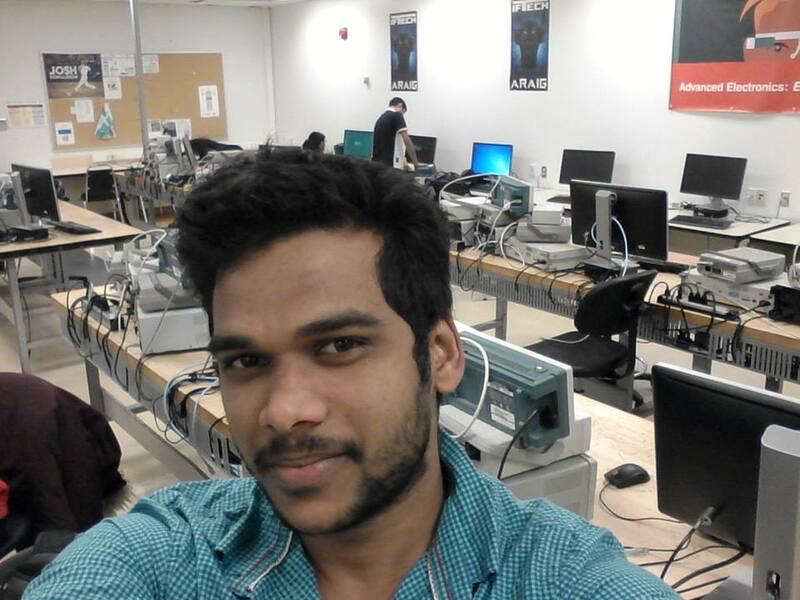 "Hi, myself, Sudheesh attended the IELTS classes IN trivandrum at cosmo. It was a great experience as IELTS was simplified beyond imagination especially the speaking and writing areas with lots of techniques.I got a really good score for IELTS and thanks to COSMO team and Allen sir." "The spoken English classes did a great deal to improve my confidence and I feel much better about attending interviews and GD sessions. Never knew there were such classes at Trivandrum. So, COSMO is my choice for Spoken English.. :-D"
"COSMO's techniques like Pattern-Based writing and Method-based speaking is what saved me from writing IELTS forever. I had written IELTS 10 times and had no appetite to do it again. Attending COSMO’s IELTS sessions saved me time and money as I got 7 overall within just 2 months. (I think even one month would be enough as the techniques are effective)." "Two months at COSMO is well worth spending as the IELTS training provided is simply what you cannot get in Kottayam and central travancore which is my native place. My final IELTS scores are S & W-7, R & L-8. I had attended lot of classes at a lot of institutions in and around Kottayam. Except for loss of money, nothing useful came out of it as my scores were always 6.5 in Speaking and writing. My base was good and i should be getting a 7. So i just changed places and tried out cosmo after seeing ad. The techniques are simple but very effective, especially for speaking and writing. I think its called Pattern based writing and method-based speaking. Good luck to everyone." "Myself Jingu Philip from Peroorkada, Trivandrum has studied IELTS in COSMO CENTRE under the guidance of Allen sir.It was a great experience for me as I thought cracking ielts is a difficult task.But as I joined cosmo for training I came to know how easy it is as the way and tricks of teaching are entirely different and motivating.I finished my ielts exam on 9 july and scored an overall band of 8 with an individual score of 8.5 for reading and listening and 7 for speaking and writing. I thank allen sir for my success and I strongly recommend this institution for those who want to make ielts a success"
"It was only after attending an interview that i felt the change the spoken English class made possible. My English improved tremendously and i feel more confident and eager to attend interviews, here or in gulf. My special thanks to Shirley Teacher and COSMO." "Thank you so much Cosmo especially Allen Sir for the help you gave usin making our dreams a reality. My over ambitious desire to get a high score with my average language skills was fulfilled by the confidence boosting sessions, techniques n tips provided by you......"
"I am Jens Joy from Changanassery, Kottayam. Those who are looking for BAND SCORE 7 ACADEMIC IELTS, PLEASE I DO RECOMMEND YOU TO STEP INTO COSMO SUJAN SIR CLASS. MY HEART FELT GRATITUDE TO U ALONE SIR. Guys the only thing you have to do to score individual 7 is to just follow sir s notes speaking and writing, u may feel it as long, but if i can do it exactly as he given i guarantee you all can do it.Just step into his institute. GOD BLESS U ALL.BEST OF LUCK"
"In spite of having an average language skill, I managed to get a 7.5 in IELTS and that’s because of Allen sir’s Coaching which made all learning so easy that we did not even have to go study at home. Such is the teaching power that i have no hesitation in recommending COSMO IELTS Centre, Trivandrum." 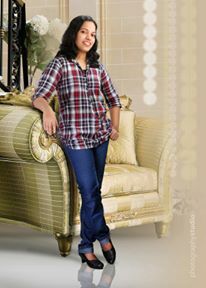 "I am Anjali from Kaipuzha, Kottayam. With such amazing techniques it would be a shame if i had not scored 7+. I scored 7.5 with just one and a half months IELTS training in Cosmo Kottayam centre. The writing and speaking modules are simply GREAT!!! Thank you Allen Sir and Team cosmo for the excellent IELTS classes." "It was a wonderful experience doing IELTS @ COSMO. I was very worried about whether I would pass IELTS. I needed 6.5 for studying abroad. But the techniques taught at COSMO were very good that getting even a 7 was simple. Especially the Speaking and Writing part which was great. I would thank Team COSMO for the effort they put in helping me gain this high score. Now I can look forward to go abroad next year. Thanks Allen Sir and Team COSMO for making this happen." "I managed to get a score of 7 on my first attempt within 10 days of training in COSMO (I am working abroad) is only because of ALLEN sir's unique & effective teaching methods.Thank you for the help extended to me. I am recommending COSMO to all who have dreams to get 7 above in IELTS. Let your dream come true like mine came true (I got Australian PR recently). Thanks to COSMO!!!" "I am Ganesh from Kazhakootam, Trivandrum. The IELTS classes at COSMO Trivandrum Centre were simply splendid and the teachers were the best I have ever seen .All the teachers were dedicated and knowledgeable . The techniques like method - based speaking and pattern - based writing really stood out for its simplicity. I would recommend COSMO for its ease of learning ,superior learning methods and above all,really really good teachers." "English...thou we believe we know the language its far enough from scoring more than 7.5 in IELTS. Allen Sir of Cosmo made it simple and even more interesting with his unique usage of the language. I urge all not to just join but to be more involved in conversations with Allen himself as the interactions make our language better and thus increasing our confidence to a whole new level. Cosmo makes sure they cover all the most common and latest topics that pop up in IELTS exams. Success will be achieved by all those who follow his simple Mantras. Cheers to ALLEN"
"One of the best classes I have ever attended for English. I started communicative English course just 3 months back @ cosmo and what a difference three months makes. Now i can speak more confidently and fluently. The role playing classes were the best part. Dont miss it." 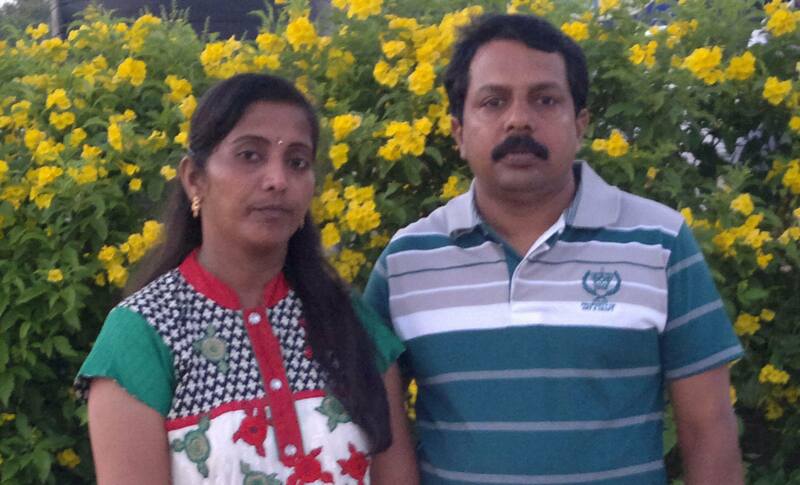 "I am Novas from Keshavadasapuram, Trivandrum. My IELTS scores are L-7.5, S-8, W-8, R-9. I don’t have to say anything about COSMO IELTS Training in Trivandrum as my score card itself would let anyone know how good COSMO is. In speaking and writing I just followed what they said. Not a word more or not a word less. My writing was ordinary and the score of 8 in writing simply has not sunk in yet for me. No words would be enough to thank Allen Sir for the individual guidance he provided me. I would recommend COSMO from the bottom of my heart." 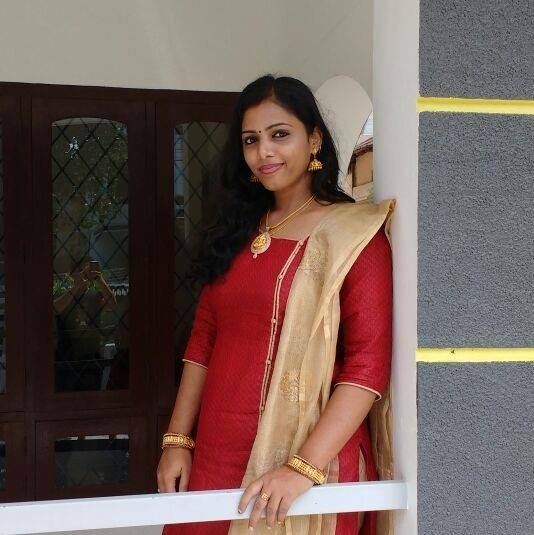 "I am Noufa from Pallimukku, Trivandrum. When I first decided to do IELTS in Trivandrum, my main concern was to find a good trainer. My friends suggested many institutes and I also searched in the internet. I visited many institutes and finally I reached at ‘COSMO CENTRE’ and talked with Allen sir. From the very first talk itself, I decided that IELTS @ COSMO would be best because of the confidence I gained from his talk. I got excellent training in all 4 sections and I improved a lot from the first day itself. It is very hard for a person not to improve with the easy-to-learn techniques for speaking and writing taught @ COSMO. Finally, I achieved a very good score than I expected in the first chance itself. Now I am looking forward to study in 'New Zealand' this fall." "I am Vishnu from Kunnukuzhy, Trivandrum. Among the bank coaching centres in trivandrum, cosmo is the best. For the quant and reasoning section they have techniques which make the learning easy and enjoyable"
"I would recommend COSMO primarily for the notes they gave us. The notes is all you need to get a 7. I got an overall 7.5 just by following the notes and just 3 –weeks classes. The techniques like Method –Based speaking and Pattern-Based Speaking are truly marvellous and I would dare say its the best IELTS coaching students can get in Kerala. I made the journey to Trivandrum with 7 in my mind but COSMO gifted me with 7.5. For that reason , I would say, COSMO and Alen sir are the best." "I am Jismi from Palayam, Trivandrum. My IETS training at COSMO was truly effective as I got all 7 in all modules. I just had to follow the notes given by Allen sir. Did not go and buy all the market guides which i was following all these years. The notes made all the difference as I attended only the one month course. Once I learnt the techniques, the notes was sufficient to take me through to individual 7 in just the first attempt after joining COSMO." "I am George from Chakka, Trivandrum. Thank you COSMO. You are the BEST. Without you, it would have been impossible for my daughter to get a 7.5. Wishing you the very best. Princely." "I had less time and so I went for just one month IELTS coaching @ COSMO, Trivandrum, KERALA. Within just one month training, I got the individual 7 score I needed. COSMO and Allen sir made IELTS very simple. I never felt IELTS was difficult and its because of the techniques for speaking and writing which were my difficult portions. All credit to COSMO an Allen Sir." "I never thought that I could crack IELTS, but Allen Sir's training made it possible for me to achieve an overall 8.0. His teaching in all the four modules was of impeccable standards. The coaching at Cosmo Center gives you the absolute confidence to earn high score very easily." 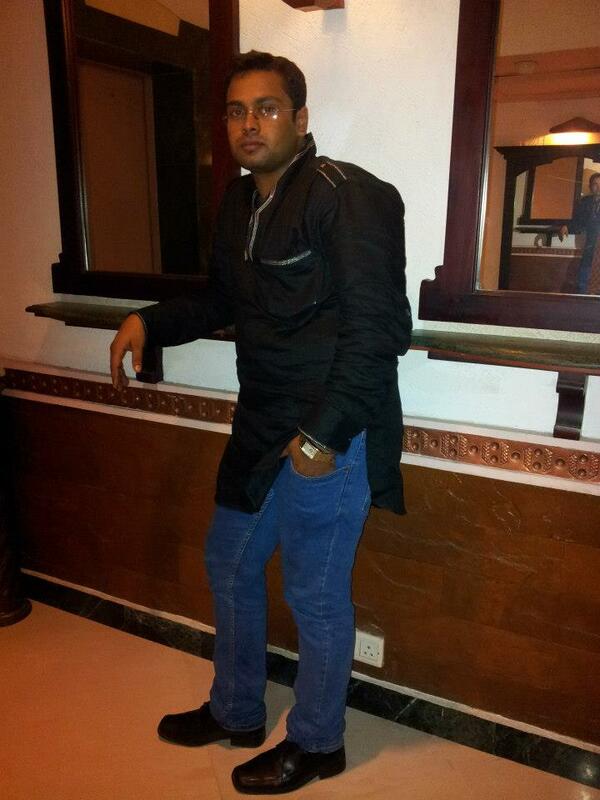 "I am Sunil from Pattom, Trivandrum. Great experience at Cosmo IELTS training centre. Scored 8 even though the exam was bit tough and not as expected. Simple techniques practiced which suits both people with a higher and lower grip in english. Teaches tough vocabulary without much difficulty to remember them. Provides well written notes. 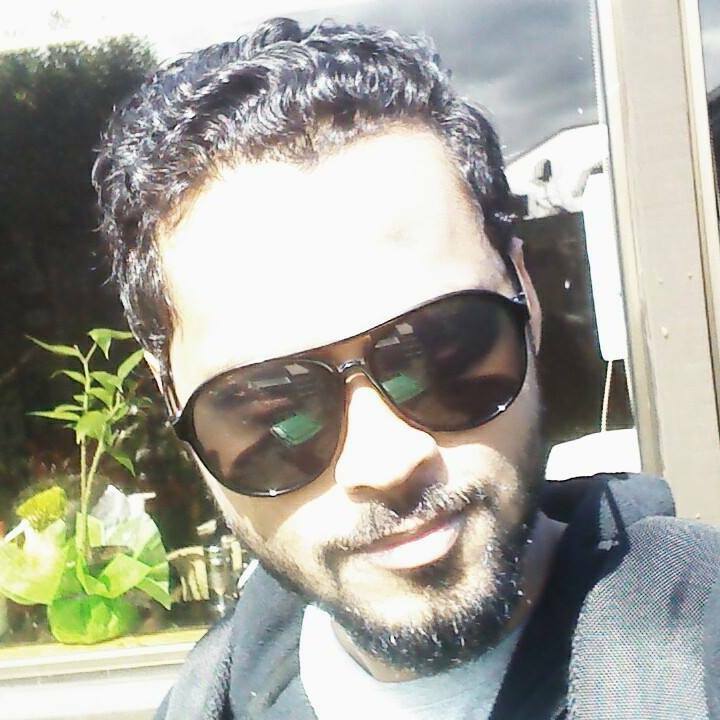 Always prefer Cosmo for good results in ielts"
"I am Rohit from Karamana, Trivandrum. I would like to say a few words about COSMO which i think does a great job in training the IELTS students achieve their target of 7. I got trained by Allen Sir and it would definitely say it was bcos of his coaching that i got 8 in IELTS. Great training Allen Sir, Thanks a lot......Keep Going and Motivate all Sir......"
"Great!! My English greatly improved after the IELTS classes in Trivandrum based Cosmo Centre. All my skills- reading, writing,speaking,listening- all of them improved. And the proof was in the pudding-I mean my scores. My IELTS Scores are L-8 & R-7.5 S& W- 7. Thank you COSMO"
"Want to speak like a pro? Well, I recommended Cosmo Accent training sessions. Best of its kind... A big thank you for raising our standards of speaking English beyond our expectations." "I WENT TO COSMO FOR IELTS COACHING at Cosmo Academy, Trivandrum. My IELTS scores are S-7,W-7.5,R-8, L-8.I was truly sceptical at first because i just read the reviews and had joined COSMO from PATHANAMTHITTA district. But one week is all it took for me to understand the value of COSMO. English was not my strength but now I can proudly say I have improved my english in all 4 sections, rEADING LISTENING WRITING AND SPEAKING. tHANK YOU COSMO AND aLLEN SIR." "I am Jois from Sasthamangalam, Trivandrum. Really nice spoken English classes in Cosmo Centre, Trivandrum. I am more confident about attending interviews and GD sessions as we had plenty of practice. I would recommend COSMO from the bottom of my heart." "Great!! My English greatly improved after the classes. All my skills- reading, writing,speaking,listening- all of them improved. And the proof was in the pudding-I mean my scores. My IELTS Scores are L-8 & R-7.5 S & W- 7. Thank you COSMO." "I would like to express my sincere gratitude to Team COSMO for the wonderful Spoken English classes. I feel much happy , much satisfied and much improved after the sessions. Keep it up, COSMO." "I am from Neyyatinkara, Trivandrum. I did my IELTS training in Cosmo Trivandrum Centre. The credit of my success goes to COSMO, where I not only improved my communication skills but got a novel mantra to metamorphose myself. If you are going for IELTS exam and opting for training then I sincerely suggest COSMO. Why so… because it provides structured modules & result oriented approach of teaching techniques, which is unparallel. I feel, it is THE best in Trivandrum. Great faculty, of-course, Allen Sir is awesome…again tons of thanks… I wish good luck to all the aspirants"
"I attended COSMO for 2 months and I can tell you that learning was never this fun. The coaching is so good that I never wanted to miss Alan sir's class. I dont think there's any other place which would give an IELTS aspirant so much confidence. From day 1, I knew I was in good hands. You will be coached in all aspects of the IELTS exam and what I really loved are the little shorcuts that was taught. It really helped me! Had I chosen to go to another place I would never have an overall band score of 8 with a 7 in writing. This is NOT easy. Trust me. But with Alan sir 's guidance it can be achieved. You also get to improve your vocabulary here. Listen to all what sir tells you. If you do that I guarantee that you can easily score a 7 or above in IELTS." "I would like to say COSMO spoken English is best as i have been to many classes before in many other places in the city. I am most happy to recommend cosmo as the teaching is very good. Best wishes......"
"It was an incredible learning experience for me. Learnt much more about English than all my schooling put together. If you are planning to take IELTS exam, then one thing you need to watch out is the quality of the trainers. I did not know IELTS exam could be cracked with some simple innovative techniques. Infact I had gone through Cambridge texts and nowhere were the techniques (like the ones taught at COSMO) mentioned. The techniques were formula based and the modules (especially speaking and writing ) become very very easy. I was surprised when I got the score of 7.5 Overall and 7 in each modules, because when I wrote earlier after self-study with Cambridge texts, I managed only 6.5. My sincere thanks to team COSMO and Allen sir for the fantastic classes, techniques (which I shall treasure) and my 7.5 score." "THE BEST for IELTS in KERALA. I wanted individual 7 and many thanks to COSMO and Allen Sir for helping me achieve it." "The best institute to go for IELTS training. I strongly recommend it to anyone who need to take the exam. Though I did take coaching in 2 other institutions I couldn't make any improvements in my score. I had to write the exam 4 times to get the score I wanted. After writing the exam 3 times and not getting 7, I was in total despair. Then my friend Lekshmi recommended this institution. I would like to thank her and Cosmo for making my dream come true by the special methods of teaching and the support it gives to the students irrespective of their standard in English. Allen Sir, you are the best!!" "All the trainers in the world cant match what cosmo provides . They are really the masters in IELTS- the tips and techniques they teach are truly awesome. I felt that IELTS was much easier when Allen sir trained me. Thank you Cosmo for making IELTS as easy as a piece of cake (just like what they say in the website ) I got a 7 and many thanks to cosmo for that." "Thank you COSMO for the guidance and coaching given for IELTS exam. I got 7 after 2 months training which helped me a lot in improving my writing and speaking skills which was the most difficult session for me during my first attempt in which I got only 5. Your speaking and writing techniques are a lifesaver. Best institution for IELTS coaching." "The classes at Cosmo are just amazing, especially the pattern based writing and method based speaking, which make speaking and writing very simple. My scores in IELTS conducted on December 5: L-8, S-7, W-7.5, R-8. I had written IELTS before and my speaking and writing scores just 6.5. I would like like to thank Cosmo and Alen sir for this transformation in my scores." "First of all let me thank Allen Sir for all the supports he provided.Eventhough I did a crash course of one month,the coaching classes were very effective and the notes given in the classes were very useful for me to score a 7 band.My regards to Cosmo." "excellent coaching for IELTS. This is the one place in kerala that you can firmly believe and join to explore and fulfill your of flying abroad to do you higher studies with a very good IELTS score. The training provided here is commendable in every way; let it be the matter of language or self confidence. I could improve my comment over language drastically by the systematic training provided by COSMO. COSMO also has influenced me to face the challenges of life and study in USA...... I recommend every upcoming student to join cosmo centre to have wings for your dream"
"Love COSMO to bits. I would recommend it for your personality development training. :-) "
"The best coaching money can buy. If you have not tried Cosmo you do not know what you are missing. If you are not getting 7 plus, don't be cursing yourself, just check into Cosmo. What you need is a little push and with all the techniques Allen sir has, you will be getting 7 before you know it. I personally would recommend Cosmo and only Cosmo. Nothing else." "I am Aswinji from Nedumangad, Trivandrum. I did my Spoken English classes in Trivandrum at Cosmo. One thing I can confidently say is that the money spent @ COSMO Spoken English centre was worth every rupee. I recommend COSMO." "I am Rizwan from Kollam, Kerala. I did my IELTS classes at Cosmo. I got an overall 7.5 band score and that too in my first attempt. I had hardly one month to prepare for the test.The training given at Cosmo is undeniably top class which helped me get this score which is more than fair." "The change Cosmo brought to my daughter's language skills is amazing. I would recommend it to anyone whatever be their standard of English since they always can improve through Spoken English classes, Accent Training classes or IELTS coaching. After she going for Ielts training and getting a score of 8, she attended the accent training sessions as well which helped her a lot to speak with confidence & clarity and to make an impact every time she speaks. .. Thank you Cosmo." "Good techniques. The techniques like Pattern-based writing and Method-based Speaking are simply great. I had only 6.5 for writing for the first 5 times I wrote IELTS. I just took 1 months coaching from Allen sir and my score shot up to 7.5. I think it is the simple techniques that got me this score. Thanks COSMO and ALLEN sir." "In spite of my busy schedule (I work for 8 hours everyday), I managed to attend the classes for 2 hours a day. Within 2 months I was battle ready and all the learning happened in the classroom. The tips and techniques were very helpful and it made the modules like speaking and writing, a walk in the park. It was not stressful at all and i was not surprised at all when I got an 8. Thanks to COSMO"
"I am Anoop from Kowadiar, Trivandrum. I have completed my IELTS coaching at Cosmo Centre Trivandrum. I can guarantee you would get the most advanced coaching money can ever buy. COSMO is the cutting edge when it comes to IELTS Coaching." "Ielts is not difficult but you just need to have the right techniques to master it. Thats what i concluded after my coaching at cosmo. I have studied in many institutes in tvm and i thoought ielts was tough. It was only after i went to cosmo i realised how simple it was. The teaching techniques and teaching methods made all the difference. Juz try out cosmo and i am sure you too will got 7+ score. As for me, i got 7 after nearly writing 12 times and it was for the 13th time i tried cosmo. If i had studied in cosmo, i could have saved a lot of money and got 7 much earlier." "COSMO is the BEST institution ever for writing and speaking in Trivandrum. I would forever recommend it for sure." "Cosmo Centre for Education & training is a great place to improve your English skills. I went there for training for IELTS exam and even though my language skills were poor, the training sessions there helped to improve my vocabulary and the techniques taught there were great to get the score I wanted. Thank you COSMO for the excellent coaching, study materials and guidance." 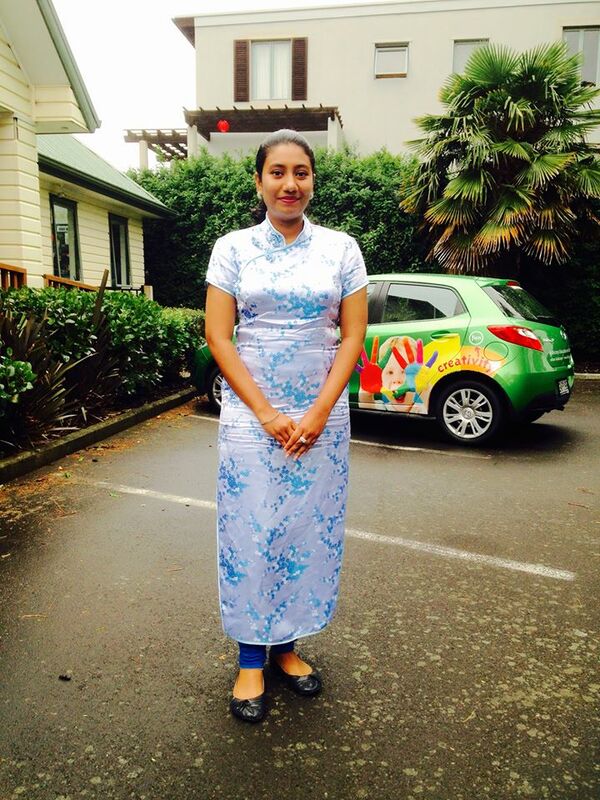 "Hi everyone, my idea of English language has changed with the training i got from COSMO. My communication has greatly improved because of the training through simple but easy to remember techniques."